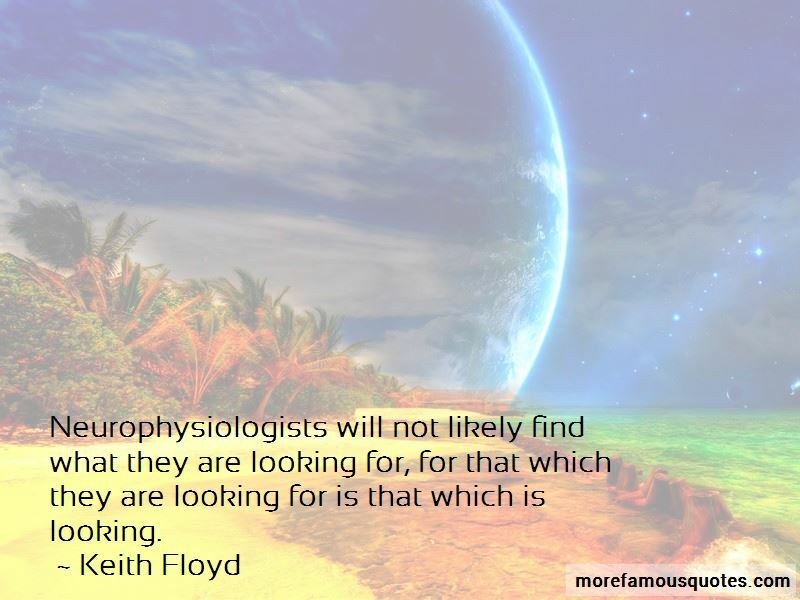 Enjoy the top 4 famous quotes, sayings and quotations by Keith Floyd. 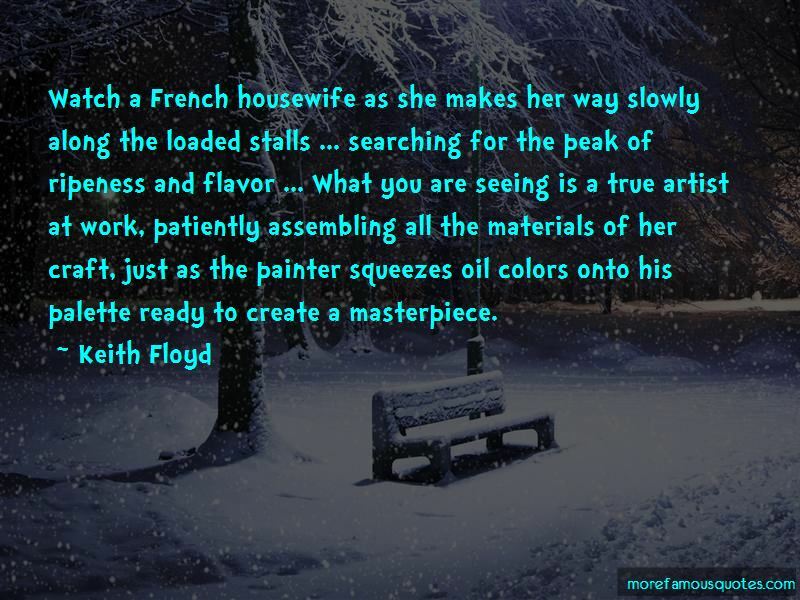 Watch a French housewife as she makes her way slowly along the loaded stalls ... searching for the peak of ripeness and flavor ... What you are seeing is a true artist at work, patiently assembling all the materials of her craft, just as the painter squeezes oil colors onto his palette ready to create a masterpiece. 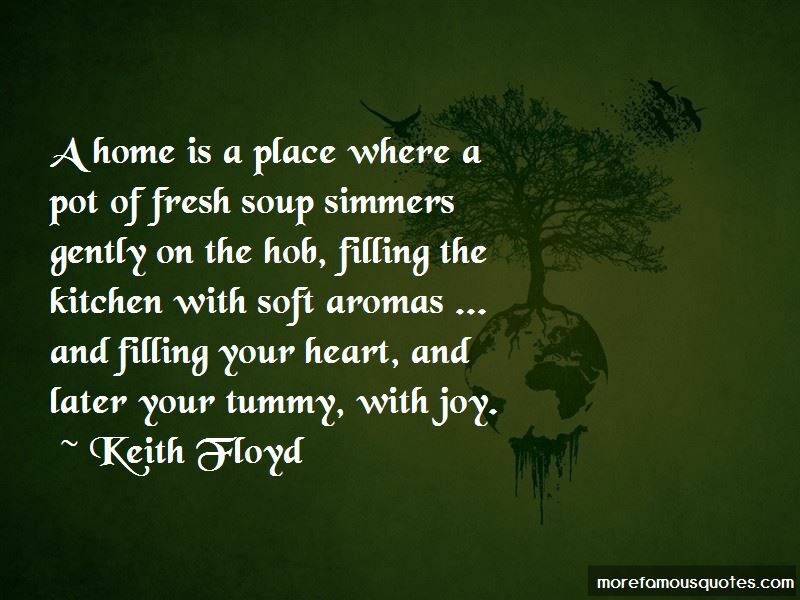 A home is a place where a pot of fresh soup simmers gently on the hob, filling the kitchen with soft aromas ... and filling your heart, and later your tummy, with joy. Want to see more pictures of Keith Floyd quotes? 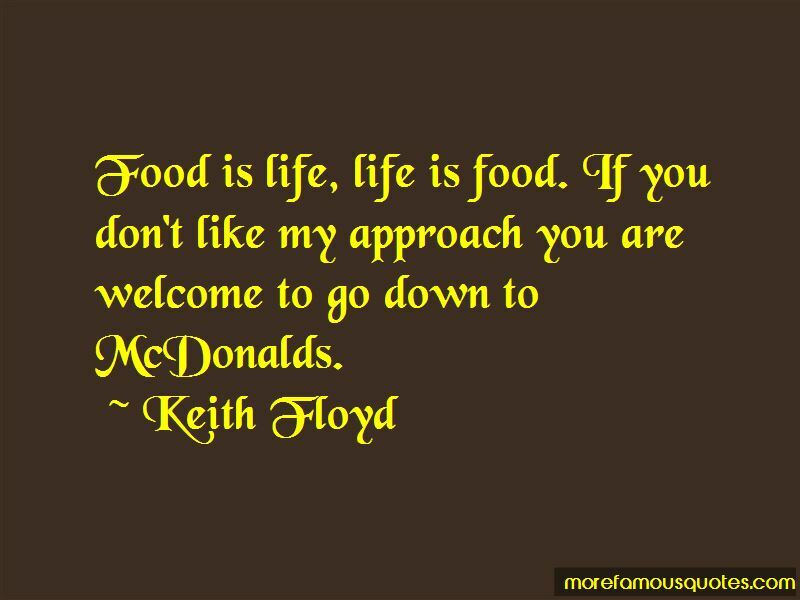 Click on image of Keith Floyd quotes to view full size.